In order to live into its purpose of “convening diverse stakeholders to identify and resolve consumer-level and systemic barriers to good oral health,” the NCOHC hosts two gatherings per year, one in the Spring and one in the Fall. In 2016, the Spring meeting was focused on understanding equity and its role in oral health and welcomed a number of new voices to the conversation. In the Fall, we co-hosted the NC Oral Health Summit with UNC’s Gillings School of Global Public Health and enabled participants to gain a common understanding of the barriers, opportunities, and innovations related to oral health in our state. The North Carolina Oral Health Collaborative is committed to serving as a resource to the community in the area of oral health. One way we are accomplishing this is through dynamic health education opportunities. The Speakers’ Bureau program provides organizations with free access to local experts who can offer valuable insight in the area of oral health. Are you looking for a speaker at your next conference, meeting or event to address oral health in our state? If so, please contact us at NCOHCinfo@foundationhli.org or 919-821-0485 ext. 233. The purpose of the NCOHC’s capacity building mini-grants program is to engage communities most impacted by oral health disparities in the work of the NCOHC and in building the NC Oral Health Agenda. 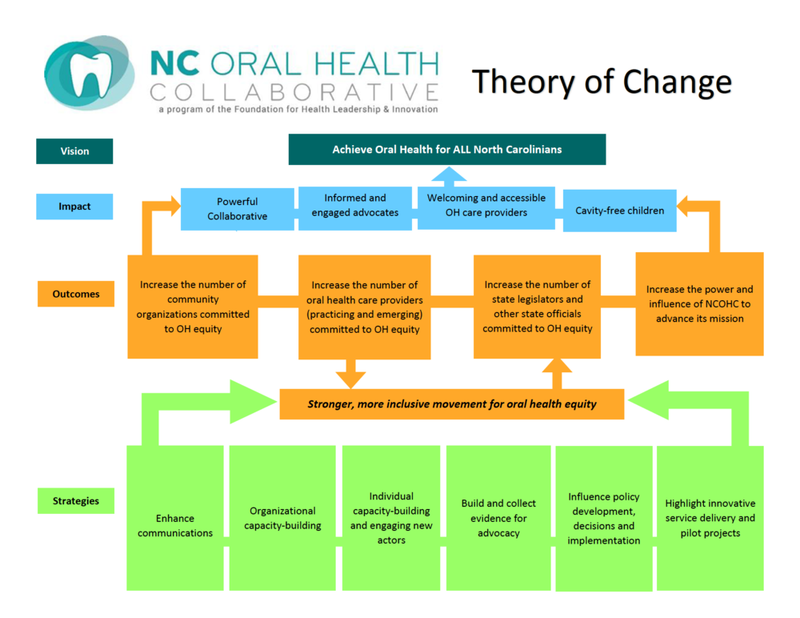 the capacity building mini-grants program currently engages 7 community-based nonprofit organizations and intermediaries in the process of outlining priorities for the NC Oral Health Agenda. sign our Statement of Support. To stay involved and up-to-date with NCOHC activities, join our mailing list below!